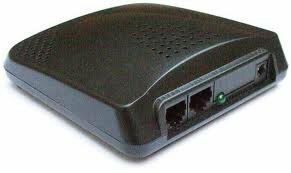 Voice over Internet Protocol or VoIP is now recognized as one of the most popular methods of communicating over the Internet. 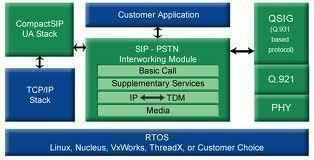 Skype is one of the most popular programs for PC to PC calling with VoIP. You should have a Skype account. You should have Skype installed on the device you use – Windows, Linux, Android, iOS, etc. Follow the below mentioned steps to setup Skype on Windows. Step 1: Download Skype for Windows. Step 2: Double-click the downloaded executable (SkypeSetup.exe) to start the installation. Step 3: Select your language. Check the Run Skype when the computer starts if you wish to. Click I agree – next. Step 4: Uncheck the Make Bing my search engine and Make MSN my homepage options if you do not want them. Click Continue. Step 5: The wizard will update/install Skype. Step 6: Start Skype by double-clicking the newly created Skype icon on desktop. Enter your Skype Name and Password. Click Sign in. Step 7: After signing in, you can add contacts to your list from Contacts > Add Contact > Search Skype Directory. Step 8: It’s important to check if your Audio and Video devices are working with Skype. Go to Tools > Options. Under the Audio settings on the left-hand, test your microphone, speaker and ringtone. Similarly check your webcam under the Video settings. If you do not have a Skype account, you can signup for Skype. After successfully signing in for the first time, a “getting started” guide will appear. This guide will help to configure the microphone and speakers so that optimum performance can be achieved. In order to make a test call and verify Skype installation, Skype provides with a dummy contact called Echo / Sound Test Service. Click that contact and make a call. If everything’s okay, you should be able to hear someone speaking on the other side. You will then be asked to record your voice which will be again replayed to you to test your microphone. If you’re able to do all this, that means your Skype is setup correctly. Follow the below mentioned steps to setup Skype on Mac. Step 1: Download Skype for Mac. A window that opens will allow you to select the download location and click Save to download the Skype .dmg package. Step 2: Once downloaded, open it and drag the Skype icon to the Applications folder link. Follow similar steps mentioned in the Windows section to signin and test Skype settings. The user can now easily access Skype and use it to make calls anytime, without having to pay a cent. Visit Skype on iTunes via your iPhone, iPod, or iPad to install Skype. Skype for iPhone, iPod, or iPad features anti-shake video calls and can use the iPhone’s or iPad’s rear and/or front camera to communicate with friends via Skype. Additionally, Skype for iPhone or iPad users have all of the same features that Skype’s desktop version provides such as instant messaging and audio calls. Note: Skype for iPhone, iPod Touch and iPad requires iOS 4.3 or newer. Visit Skype on Google Play via your Android mobile phone or tablet to download and install Skype. Like Skype for iPhone, Skype for Android provides Android users with all of the functionality of Skype instant messaging software. Skype for Android allows users to conduct audio and video calls, instant message with friends, and call other phones while using Skype rates. Note: Skype for Android requires Android 2.1 or newer. Visit Skype at Windows Phone App via your Windows Phone to download and install Skype. Skype for Windows Phone showcases a metro UI, similar to that of Windows 8. Other than that, it possesses almost all the functionality that comes bundled in a desktop version. Note: It is mentioned at the Windows Phone website that this app is still a work-in-progress, therefore few minor features may not work as expected. Like Skype for iPhone and Skype for Android, Skype Mobile is available for Blackberry smartphone users. Skype for Blackberry has the same features as both of the aforementioned programs. 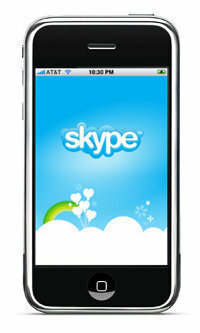 Skype Mobile allows users to instant message with friends, make video calls, and call Skype users for free. Additionally, all calls to land-line and mobile phones made via Skype will use Skype rates rather than the user’s Verizon service plan minutes. Skype is best-known as an instant messaging software, despite its many other features. With Skype, users can have conversations with their friends and family in real time no matter where they are. Skype users can also have multiple conversations at once, participate in group conversations, and send SMS to mobile phones. Skype makes instant messaging exciting by including a number of emoticons. All messages and conversations are automatically saved to the user’s computer. Skype is more than just instant messaging as it also allows you to make calls and have video conversations with other Skype users. In Skype, audio and video work very much like instant messaging does. For example, users can participate in group audio conversations or use their webcam to broadcast video to multiple users. Audio and video conversations can be done simultaneously with instant messaging. This means that users can talk to other Skype users while still being able to send and receive messages. In addition to instant messaging, text messaging, audio conversations, and video conversations, Skype also allows you to call landlines and mobile phones. This means that Skype users have unlimited outgoing calls to anyone. In order to receive incoming calls, Skype users can purchase an actual phone number as well as receive calling rates as low as 2.1 cents per minute. Skype features a service called Screen Sharing that allows users to share their monitor screen with whomever they are communicating with. Screen Sharing can be useful in situations where a user needs to show or describe something to another user. For example, one user may need to show another user how to access a specific function in a software. Instead of trying to describe how to do this, the user can simply share his/her screen with the other user. Screen Sharing is similar to Window’s Remote Assistance feature but does not allow users to control each others’ computers. Another feature that come with Skype is File Sharing. File Sharing allows users to transfer files from one computer to another. The good thing is that File Sharing does not have any file size limits, which means that you can send virtually any file through Skype. However, that larger files take longer to transfer. The Skype Directory is split into two parts. The first part is a People Search that requires the user to input the person’s Skype username, first and last name, or email address. If the person is listed in Skype’s extensive database, communication with the person is only a click away. The second part of the Skype directory is designed for users to get suggestions about businesses nearby. For example, if the user wishes to find a good pizza restaurant in London, he/she can type that in and get a listing of pizza restaurants in London (or places that include the term London) that have been reviewed by real Skype users. The Skype Shop, like the Skype Directory, is split into two parts. The first part of the Skype Shop allows users to purchase Skype Calling Credits or place a subscription. Skype Calling Credits can be used as minutes, varying in value, which depends on the nature of the call. A subscription is a monthly bill that ranges from $3 per month for unlimited calls within the United States and Canada, to $14 per month for unlimited calls to virtually anywhere in the world. 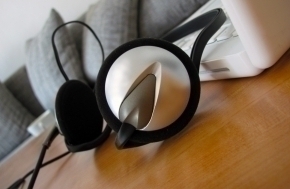 The second part of Skype Shop is for Skype accessories such as landline phones, headsets, and webcams. Skype users can install extra software to improve their Skype experience as well as their computer in general. Skype Extras includes software for business, networking, and even relationships. With over 200 programs to choose from, any user can find something interesting. Best of all, it’s completely free. I can’t get the microphone to work and I think my built in sound processor is damaged. Would fitting a soundcard fix things? It is a PC with Windows 7 Pro. It was originally XP. Skype video connection has nothing to do with a Skype account. There could probably be something wrong in your video settings. Help! I can’t get into mybskype acc, it doesn’t recognize the password I use, I got a code to temporarily reset the password but it doesn’t work. I removed and then reloaded but it just goes to password and user name field. ie no set up page. What am I doing wrong. Whilst using Skype on my iPad I have noticed a box telling me the call is being recorded. How do I turn this off? Whilst using Skype on my iPad I have noticed a box telling me the call is being recorded. How do I turn it’s off? I downloaded skype onto my samsung galaxy s2 phone and created account, got the skype name and password which then accepted me, when I went to use skype it wouldnt recognize either skype name and password? Have you tried with a + preceding the number?. Usually, when you select country during registration it will automatically insert the country code, so check whether you have entered the details correctly. I am trying to import gmail contacts and the popular mail programs are not shown on the import page (gmail hotmail etc.) I am getting a display of programs like rediff, libero, yandex, rambler etc. Any idea how I can show the other programs. Re the above post. Before someone tells me to chose the ‘other’ tab, they are odd names as well. i don’t want my account name being saved in the sign in box… what should i do?? thank you! Kindly follow the below steps to troubleshoot your issue. > Open the Run command/window (to open Run, just click the Windows Logo key in your keyword + R). > Type %appdata%\skype into the Run window and click OK.
Major causes of connection problems can be system configuration which includes firewall or router settings, internet filtering software. So check for your system configuration. My Computer has a slot for a micophone, however I do not want to use it for my conference call that I have once a month. I would like to know how do I hook up my computer to talk through my earphones that have a microphone attached to it for talking. I before I download your program. I need help before I do something crazy and my computer no longer function. I have just installed a Logitech c615 webcam for purposes of Skype on my computer operating Windows 7 using Mozilla. Testing installation with Logitech I get both audio and video. With Skype I only get video. I have rooted around on the control panel – sound. No luck. I have a skype account. I have anew computer. How do I download skype without having to open a new account? I can’t get Skype to work and I get a message stating Safari can’t open because Mac OS X doesn’t recognize internet addresses starting with Skype. Anyone know how I can fix this? Can anyone help please, I am setting up Skype but for some reason it cant connect, am I doing something wrong? uninstall skype, download the latest installer from the website, and reinstall..
What happens when you try to open Skype? Have you upgraded anything on your computer lately? What OS is your computer running? I have a PC that is wired. I’ve just downloaded Skype but understand I need a webcam. What should I buy (simplest) in a webcam & do I need anything else, like earphones, microphone, etc. My Dell is about 3-4 years old & has a microphone setup & speakers. I’d like to have as few extra gadgets as possible. Can you fill me in? Many thanks. If you already got a microphone set up you don’t need to buy that although some webcams have one built in too. As for what to look for in a webcam, it depends on what you need. Any webcam will do as far as basic video chat goes. VGA sensor is typically the most basic type of camera sensor it will use. If you want a greater image quality you’d look for something rated in megapixels. Other things to consider is whether you want it to be mountable on top of the screen, how big you want it to be, can it take photos, what kind of extra software does it come with, zoom capability, how well can it record in the dark etc. If you need anything more than a basic webcam I suggest you just look for some in your favorite computer shop and then read reviews of them, and check out their manufacturer web sites. Logitech is typically quite good with peripherals and might be a good choice for a webcam as well. look at spending around 70 – 100 dollars. the Logitech c910 is a very good webcam, built in mike and it is full 1080p, widescreen and has better sound reproduction. plus they have far better software extras. I’ve used a number of webcams over the years and using the ‘cheaper’ ones does nothing more than P*ss you off as they tend to ‘breakup’ (pixelate) plus a lot of them have really cheap mikes or none at all. even if you only use skype rarely it is well worth the few dollars extra. that and the fact that as you get used to skype and your family/friends hookup you will use it more. almost all of my family and friends are on Skype so the mobile/landlines are used less and less. Hi… i’ve just installed skype in my phone (nokia-n8) from ovy store. But i couldn’t make video call with my friend. How to set video call in my phone? Skype for Nokia N8 is still shaky from what I’ve read so it might not support video calls, but you might have some luck using Fring which apparently supports video calls to skype users. Hi, Anybody out there who knows how Skype works. WIth the change of the year, my Skype has gone all Japonese and I can’t make head or tail of the instructions as they are in Japonese as well. I have tried to dump it but it says I do not have permission to so how do I get out of this quandry. That’s really weird. I suggest deleting it and installing again from Skype.com. If you tried that one thing that might work is deleting the Skype folder from Program Files, downloading Skype anew and running the installation which should recreate the Skype folder, but with clean settings. If all else fails you can try contacting Skype support about it. 154 queries in 0.359 seconds.